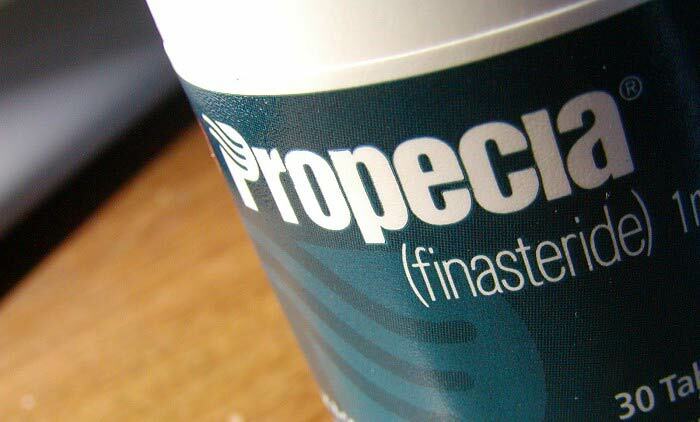 Propecia is an FDA approved 5α-Reductase inhibitor, which is sometimes used to combat male pattern baldness. The first medication of its kind, Propecia has shown to have excellent results for men with thinning hair. DHT, the compound that is produced by the enzymes Propecia blocks, makes the hair follicles shrink, causing hair loss. By blocking those enzymes, DHT production is lowered, the follicles remain healthy, and so does the hair. Propecia has shown substantial hair restoration in as much as 65% of clinical patients. That’s far-and-away better than any other non-Surgical method!